This post was submitted by Salisbury High School sophomore, Asia Letlow. I completed this project for Miss Piagesi’s “Macbeth” unit. The assignment included a choice of making a mix tape relevant to the plot of Macbeth. Track listings include an array of musical genres from different decades, ranging from Stevie Wonder to Sara Bareilles. I carefully selected and sampled songs based on the characters and their attitudes in the plot of Macbeth. Tracks include “Superwoman” by Stevie Wonder, “The Sweetest Taboo” by Sade, “Legend” by Nelly Furtado, “Right Place, Wrong Time” by Dr. John, “Fairy Tale” by Sara Bareilles, “Play Dead” by Bjork, “The Co-Dependent” by Sia, and “Magic” by Olivia Newton-John. Stevie Wonder’s “Superwoman” (1972) best relates to Lady Macbeth in regards to her being the queen alongside Macbeth. Her undying strength and willpower push Macbeth into the belief he ought to be more of a man than he is; to fight and kill in order to establish his place as a king, and get what he wants, when he wants it. “Mary wants to be a superwoman, and try to boss the bull around.” Through the perspective of Stevie Wonder’s song, Lady Macbeth is Mary; the woman trying to boss “the bull” or, the figure who is supposed to be in higher strength, around, and eventually she gives in to the overbearing pressure of her own crimes. Sade’s “Sweetest Taboo” (1985) models the irony of the relationship between Macbeth and Lady Macbeth. King and queen romances are always groomed in the media to seem glamorous, proper, and grand, what with the numerous tea parties, gatherings, and affairs the king and queen attend. Few individuals associate king and queendom as a messy, murderous, and selfish scheme as exhibited in Macbeth, as people are made to believe “King” is as grand as heaven. Nelly Furtado’s “Legend” (2000) depicts Macbeth’s hell-bent attempts to gain recognition as a king and leader in his village. Overly ambitious, he blinds himself with thoughts of taking over only to forget about those who matter.” He wants to be, he wants to be, with everything, under the sun. And like a legend that rises and falls, I’ll never be his only one.” Macbeth ultimately rises and falls in the battle between himself and Macduff. Dr. John’s “Right Place, Wrong Time” (1973) primarily models the death of King Duncan and the framing of the murder on the guards. Ordinarily, the guards would be doing their assigned jobs to ensure the safety of the residents in the castle; being intoxicated left them entirely vulnerable to the situation at hand and both guards were in a prime position to be blamed for the murder. Duncan was in the right place at the wrong time because, although he was warmly invited by Lady Macbeth into Macbeth’s residence, he failed to grasp any concept of Lady’s plans to kill him, thus, he died. Sara Bareilles’ “Fairy Tale” (2007) highlights Shakespeare’s inclusion of feminism in early works of literature, namely Macbeth. Sara alters the common fairytale stories of princesses such as Cinderella and Snow White, putting them in hum-drum situations whereas they do not wish to be with their kings because they’d rather be alone. Lady Macbeth prayed to be “de-sexed” by the gods in order to gain strength to fight many battles coming with her queendom. Bjork’s “Play Dead” (1992) best highlights the fall in Lady Macbeth’s mental stability toward the end of this tragedy. Her strange ways of coping with the remorse she feels for plotting a murder take over in her sleep, and she attempts to wash away every bit of evidence so nobody knows she aided in the murders. She tends to lament to elements of the murders, overheard by the doctor and gentleman in act 5, scene 1. Sia Furler’s “The Co-dependent” (2010) represents multiple bonds between different sets of characters in Macbeth. “I’m gonna watch you drink it all, I’m gonna watch you fall. You’ll find me by your side, if you find me at all.” The song highlights the fidelities shown between characters, the few which are present. Olivia Newton-John’s “Magic” (1980) relates to the Three Witches and their effects on the fate of all who surround Macbeth. Magic associates itself with witches, spirits, and other immortal beings said to possess the ability to alter fate. “Got to believe we are magic. Nothing can stand in our way….If all your hope survives, destiny will arrive, bring all your dreams alive, for you”. 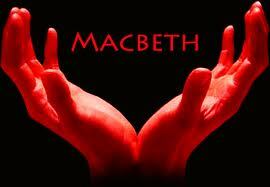 Macbeth’s changes for the better as he claims the title of King graced upon him from the witches. Everybody knows the rule “be careful what you wish for”, heavily examined in Macbeth’s case; receiving anything one desires possesses the potential to turn awry. Through the course of the project, I taught myself how to use Garage Band on the laptops and I found the self-teaching aspect very useful. I found it a great challenge to cut and edit parts of my soundtrack. As I progress through high school and into college, I will need to continue to teach myself how to approach unfamiliar things in order to get acquainted with them; in this case, I’ve grown technologically and plan to use Garage Band again in the future.